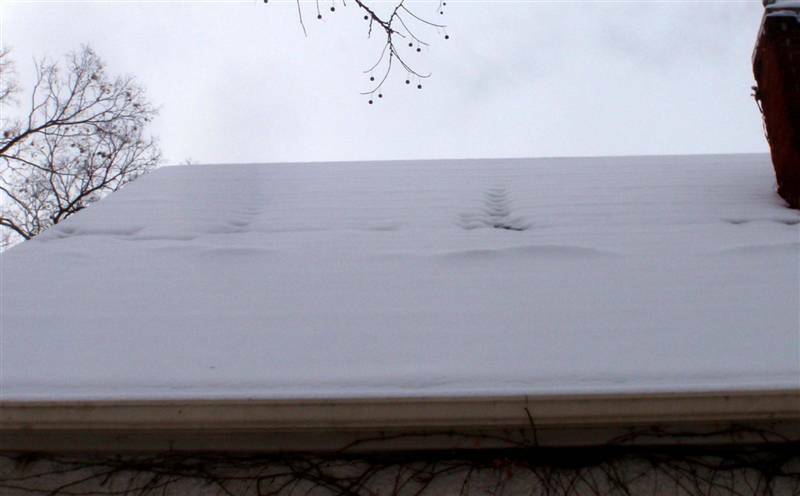 What can snow on the roof tell me about my home? 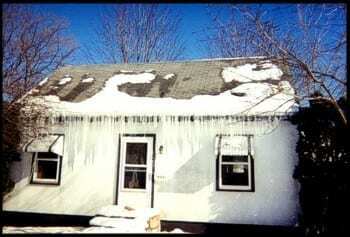 What does snow melting on my roof really mean? Yes snow is a beautiful thing, but it also lets you know how well your homes attic is insulated. 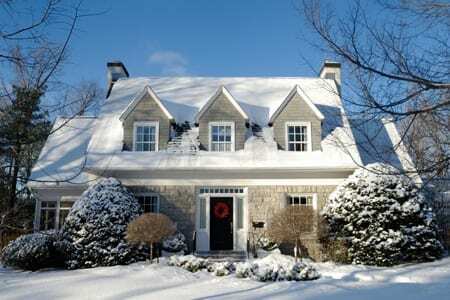 In the days that follow after a snowfall, look up at the roof on your home. If the outside temperature stays below 32 degrees, there should still be a nice sheet of snow on your roof. If you notice patches where the snow has been melting, this is a good sign that your homes attic is not properly insulated. Below are pictures that show what it would look like if your attic is not properly insulated. As you can see from the pictures above, the snow is only melting on certain areas of the roof. This is from heated air escaping into the attic and warming the roof. Your attic area should be insulated to an R-49 in order to keep conditioned air from leaking. This is roughly 19.50 inches of insulation that should be in your attic area. Another culprit could be insulation that has been moved around and is not fully covering the attic floor. These areas of leakage will not only melt the snow, but it will cause your heating bills to rise. If you do notice that this the case with your home, it is recommended to have a professional help you figure out a plan to improve the attic area. Simple improvements like air sealing and additional insulation will help keep you from paying to heat the outside. Over time extra energy use can add up to be more than the cost of the improvement.There are also rebates available from participating utility companies that will help cover the cost of improving your homes insulation. Contact GIC today if you have any further questions or would like to schedule a consultation at 816-301-4448!